Numbered decals and hard hat stickers can serve various purposes on a job site. When numbering is printed on a hard hat sticker it makes it easy for a supervisor to check data on an employee to determine things like the level of training, the years of experience, security clearances, or any other information that is stored about the employee. This makes it easier, especially on large jobs that go on for long periods of time, to keep up with employee information. 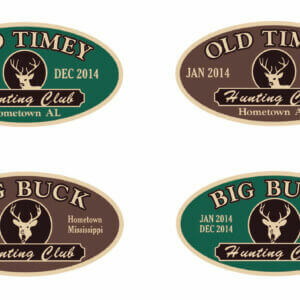 The Sign Shop offers consecutive/sequential numbered decals and stickers. Most of the stickers we print for construction companies are numbered. 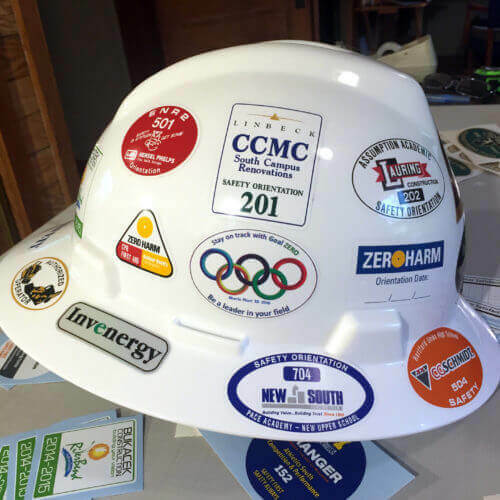 Safety training programs for construction projects use our hard hat stickers every day. Email ray@thesignshop.com for a quote on your next project. 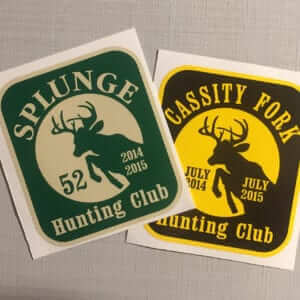 Some hunting clubs have a lot of members and lease large plots of land and having a numbered club decal on vehicles and atvs makes it easy to determine who that member is. 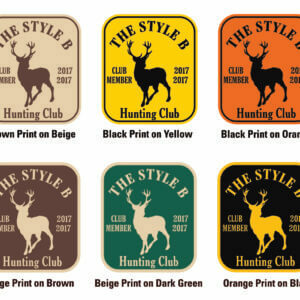 Some clubs issue multiples of the same numbers because club members have more than one vehicle and have several atvs. Some clubs just register the consecutive numbered decals to specific persons and their vehicles.